People have all sorts of loyalties, and the soda they drink is no exception. Diehard fans will never think of innovation regarding soft drinks as standard. Instead, they’ll watch the trends, assess how they are affected by them, and take part in what all the rage is really about. The soda fountains of today are bigger, smarter, and better than ever. Pepsi Cola itself has been around for more than a century. Developed by a pharmacist in 1898, it’s undergone countless changes and seen just about everything change in the name of trend and innovation. Soda fountains have too, as they originated near the same time, and also spent early days of inception stationed at pharmacies. In the most simple of terms, things have changed. But that’s the beautiful thing. History can be improved upon. Integrity can be maintained. Brands can be better than ever, never wavering from the foundations on which they were built. What started as a social aspect of soda fountains in drug stores and apothecaries has morphed into the engaging, refreshing aspect soft drinks still offer people. Pepsi began in bottles so as not to compete directly with its competitor all those decades ago, and it seems the time to take that back is now. 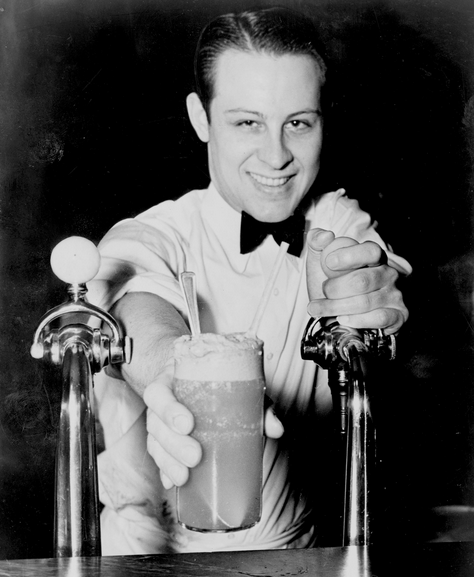 Decades ago, industry advancements delivered the standard soda fountains that put the whole “soda jerk” phenomenon back into the hands of people. Originally thought to have been created post-prohibition, soda fountains gave people somewhere to go, and something to drink when they got there. Soda jerks, or the men who poured the sodas, were somewhat celebrities. As that trend began to wane, the demand for soda did not. Last Summer Pepsi announced its line of “craft soda” with Stubborn Soda which offers exotic, artisanal-type soft drinks like agave vanilla cream, or black cherry with tarragon. Pepsi’s move mirrors the movement craft beer brewers have initiated by creating smaller, more distinct variations separate from mainstream brews like Miller Lite and Coors. It’s obvious there’s growing demand for natural products, and the Stubborn Sodas fountain machine will feature eight flavors. The Spire fountain machine from Pepsi has been compared to the iPhone. Now there’s a cultural reference that’s highly recognizable. More and more, people want options. They want to be in control of nearly every aspect of their day-to-day lives, and yesterday’s technology and options are just that – yesterday’s. The Spire fountain technology cracks the world of customization and unique user experiences back open. Research from the past few years shows nearly half of Americans drink soda on a daily basis. The Spire isn’t your typical soda fountain where you select Pepsi, Diet Pepsi, Mist Twst, or Mug Root Beer. It’s an experience. Just as the craft beer industry continues to explode with its own advancements, the whole idea of mixology comes into play a way to get more bang for your buck. It’s not just for hard alcohol and cocktails anymore. With this particular soda fountain innovation, the flavor options are endless; there are over 1,000 beverage combinations possible and that’s what people want. And it so happens to come in one sleek, beautiful machine. 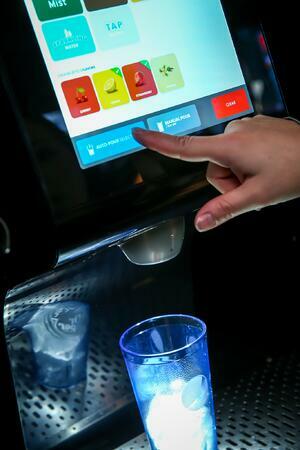 The future of soda and the fountains from which they’re distributed will undoubtedly continue to change, driving engagement and loyalty. If you’d like in on this evolving market, let us know. We’d be happy to show you your endless options.